This machine looks good and has reasonable power, but it’s unremarkable in laptop mode and is too large to work as a convincing tablet – and the poor screen afflicts both types of usage. The HP’s £649 price would go further on a standard mid-range laptop, which makes the latest Envy only worth consideration if you really do need a hybrid with a 15.6-inch screen. 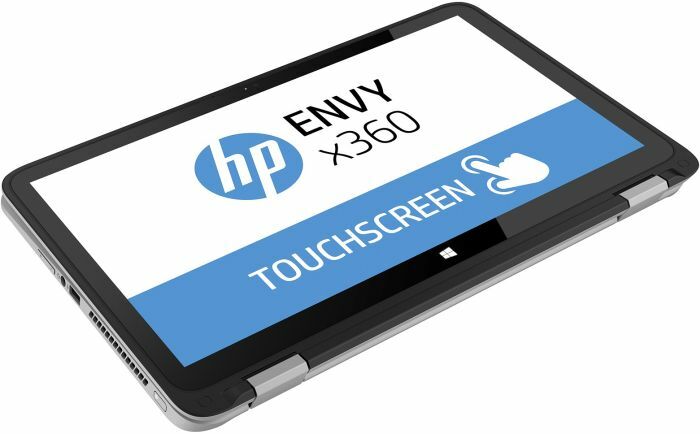 At the end of the day, while we appreciate the HP Envy x360's attempt to please users seeking a laptop and tablet in one device, we think it's simply too big, heavy, and unwieldy to serve the latter function. And while the concept of a big-screened convertible has merit for its other modes—using the tent or stand mode to show a presentation or watch a movie—the Envy is handicapped by its brief battery life and compromised display. If you want a large but versatile laptop, the HP Envy x360 is worth a look, but you must be prepared to accept the compromises detailed above. 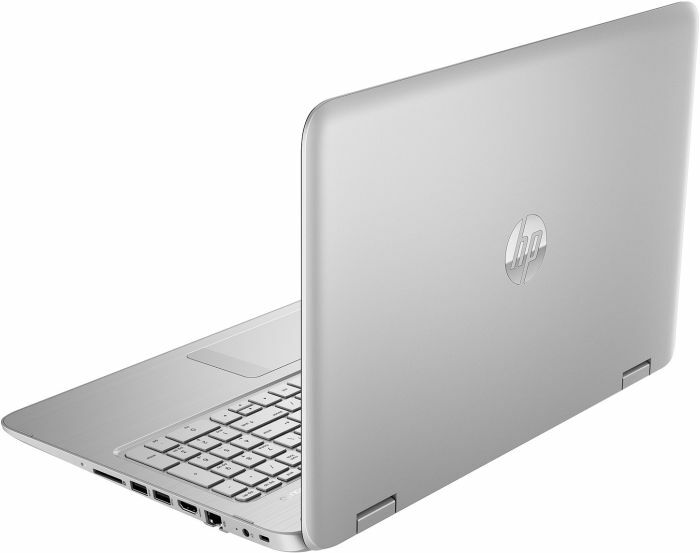 You should also consider whether a flexible laptop this large is useful. If you use your laptop in bed or on the train, for example, this could be the device for you, but if you're mostly deskbound, get a different laptop. 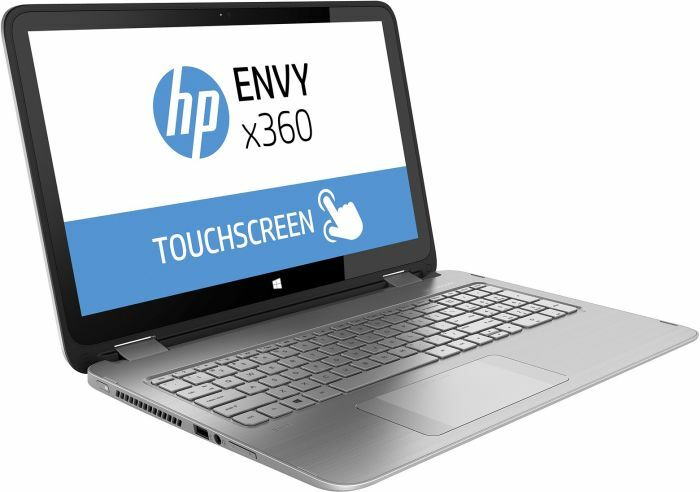 The HP Envy x360 15t winds up being a pretty good laptop, but a mediocre tablet. It feels like HP still figuring out the tablet half of the hybrid equation, as evidenced by the system's shorter battery life, lackluster display, and odd asymmetrical design. Lenovo's multiple Yoga laptops offer a far more polished version of the laptop, but the best midrange convertible-hybrid laptop remains our Editors' Choice Toshiba Satellite Radius P55W-B5224. It has better overall performance and battery life, and a better tablet experience. As all-purpose laptops go, the Envy x360 does a pretty good job with multimedia, and general business users who can benefit from its multiple display options should take a look. But the absence of 5GHz Wi-Fi and a slow hard drive are definite drawbacks. In its $770 price range, buyers may well find units with less onerous tradeoffs. 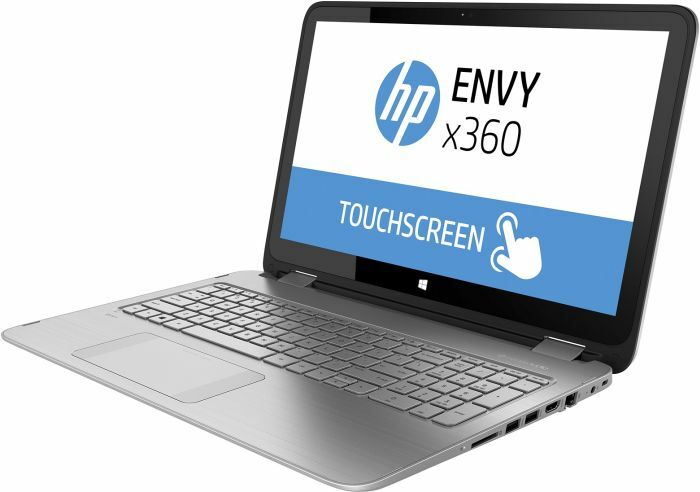 Initially, the HP Envy 15 x360's effective, poseable and competent core hardware had us optimistic about its prospects, but despite good performance and decent ergonomics, the screen is a real sticking point. Ultimately, there are better-balanced budget laptops around for a more reasonable price than the x360 can offer: the Asus X552CL, for example, may lack the hinge and touchscreen of the Envy (and you have to ask yourself if you really need it in a laptop of this size), but it's just as practical, is only slightly less powerful, and boasts a significantly better screen for only £350. 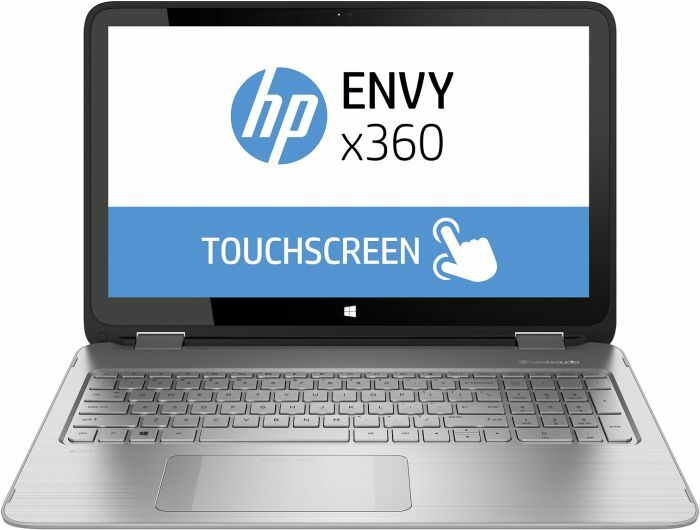 I want to like the Envy x360. This convertible almost satisfies my desire for a laptop that can double as a productivity and media-consumption device. 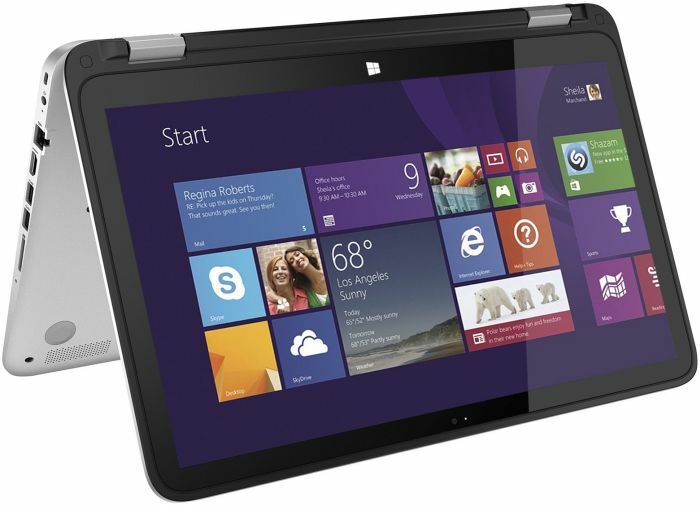 Even with its cumbersome size, the large, 15.6-inch touch screen makes good use of Windows 8.1. 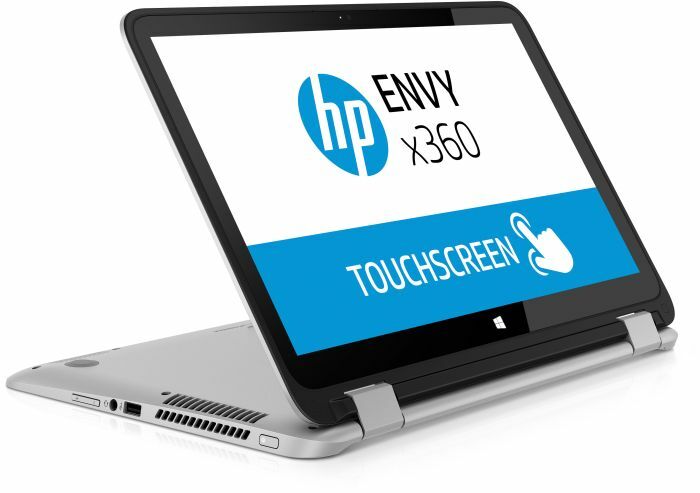 But the mediocre screen and short battery life make the Envy x360 difficult to recommend. The HP Envy x360 is not the company’s best effort. 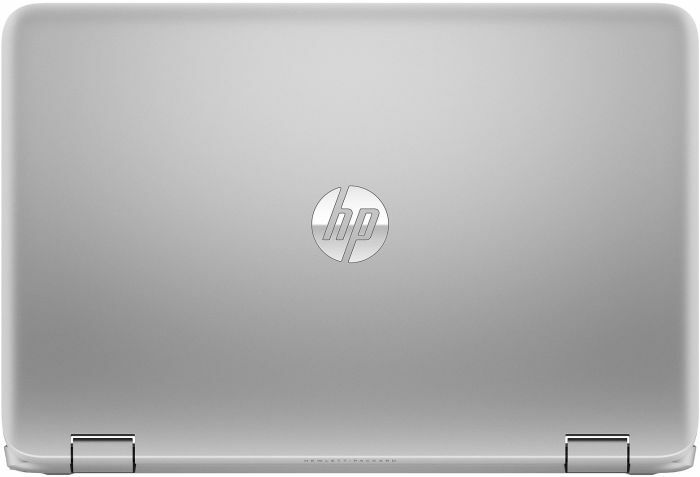 Though it wears the premium Envy name, there’s nothing premium about its design, which looks and feels a bit cheap. Many recently reviewed mid-range notebooks, like the Flex 2 and the Acer Aspire E5, either look better, feel more durable, or both.